Please Allow 3-4 Business days to Prepare and ship your item. All items are shipped under the new Retail Ground by USPS. The item will ship Priority Mail if it’s the same price of Retail Ground . The home state we ship from is Georgia if you live in a border state it ships Priority 2-4 days. If you live outside of the border states please allow 7-10 days for delivery. You can pay the surge charge for a quicker delivery if you like. 1. 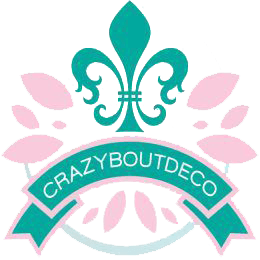 Please email crazyboutdeco@gmail.com to request a refund. No Exchanges unless your willing to pay for all shipping cost. unauthorized access to it or your account. If you lose control of your account, you should notify us unauthorized access to it or your account. If you lose control of your account, you should notify us immediately.